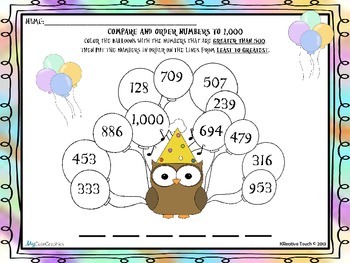 Use this worksheet as a quick check to assess student understanding of Comparing and Ordering Numbers to 1,000 in a fun and engaging way. This purchase includes 2 pages that can be copied back to back or used on two separate days. 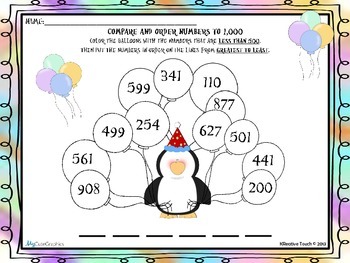 Use as an in class assignment or for homework.